When Rich Kulesa arrived as a Team Rubicon volunteer in a Texas town flooded by Hurricane Harvey, he found neighborhood streets littered with unsalvageable furniture, televisions, clothes, strollers — the entire contents of people’s lives mounded up on the curb. 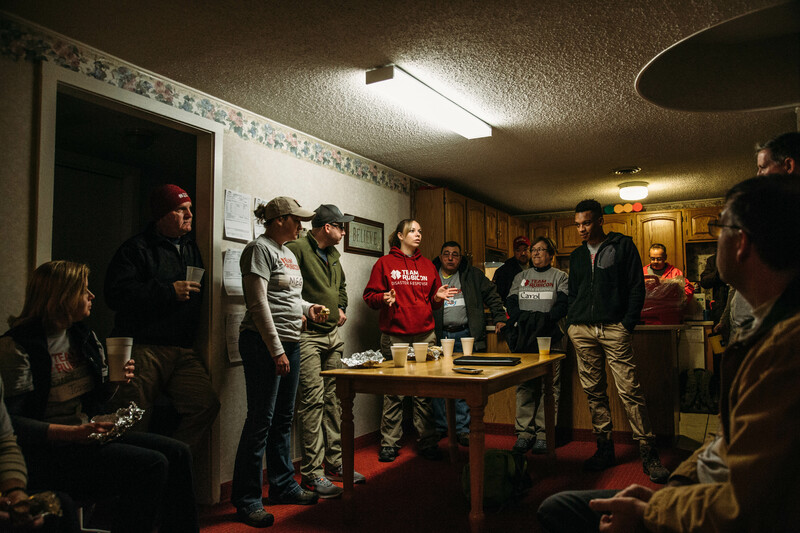 These post-disaster landscapes are familiar to volunteers from Team Rubicon. The nonprofit, which is elevating its technology capabilities through a new partnership with Microsoft Philanthropies, leverages the skills of military veterans and others to help homeowners and build community resilience after hurricanes, tornadoes, snowstorms, earthquakes and other natural disasters. Team Rubicon was born when Jake Wood, a U.S. Marine scout sniper who served in Iraq and Afghanistan, was frustrated by television news reports showing the devastation and a slow early aid response after an earthquake leveled the island of Haiti in 2010, killing and injuring hundreds of thousands. It turned out that the skills honed on military operations — small group leadership, logistics expertise, the ability to operate in chaotic environments — were also valuable in helping communities affected by disaster. There was that gap for me for a long time — a gap that a lot of separated military go through — which is that search for camaraderie and sacrifice. Previously, the only Microsoft technology that Team Rubicon was using was Windows 10. But after a steady stream of conversations about pain points and opportunities to power Team Rubicon’s long-term vision, the nonprofit decided to overhaul nearly all its software platforms and fully convert to the Microsoft stack. Technology has never been better equipped to help in post-disaster situations, Spelhaug says, from smart sensors that can locate each piece of equipment and track how much power is left to AI solutions that can solve tough math problems to ensure that chain saws, fresh water or food get deployed to the people who need them most. Microsoft really challenged us to think about what it would take to convert to an enterprise solution that would rival a Fortune 500 company. 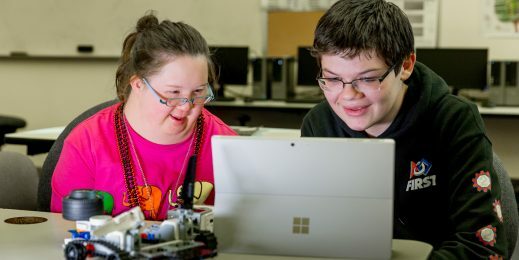 For her, that’s included improving her region’s technical capabilities and developing training opportunities for cloud-based tools that have helped to grow a team of 12 leaders to just over 160 in her region alone. She was also selected for the nonprofit’s Clay Hunt Fellows leadership program, named after one of Team Rubicon’s founding members who took his own life in 2011. His death sharpened the organization’s focus on addressing mental health and reintegration challenges among veteran ranks. Hellenschmidt has also worked on operations ranging from Colorado fires and floods to a deployment in Gatlinburg, Tenn., where out-of-control wildfires burned more than 2,400 structures in 2016. Team Rubicon sent volunteers to help homeowners sift through the ashes of their homes and recover important items or keepsakes. To learn more about Team Rubicon and how you can support their mission, visit https://teamrubiconusa.org/give/.